Watch out for the ladyboys in their exquisite and glamorous evening gowns! 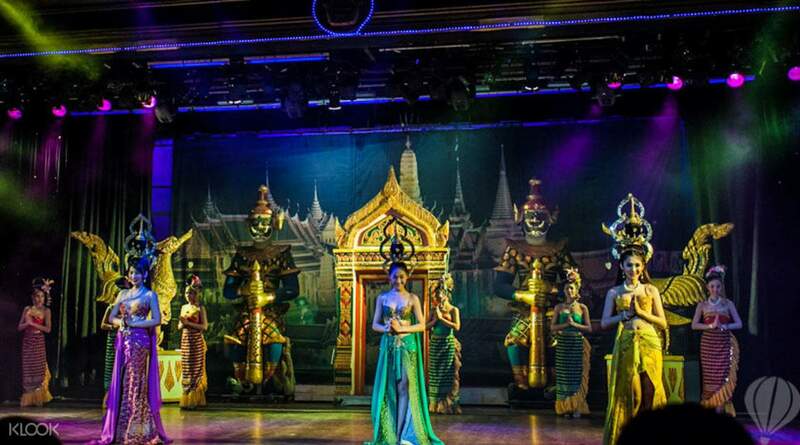 World-famous for its unique night time activities, particularly its ladyboy shows, Bangkok's glitz and glamor come full circle in Golden Dome's world-class showcase of costumes, lights, music, and the mesmerizing performers themselves. 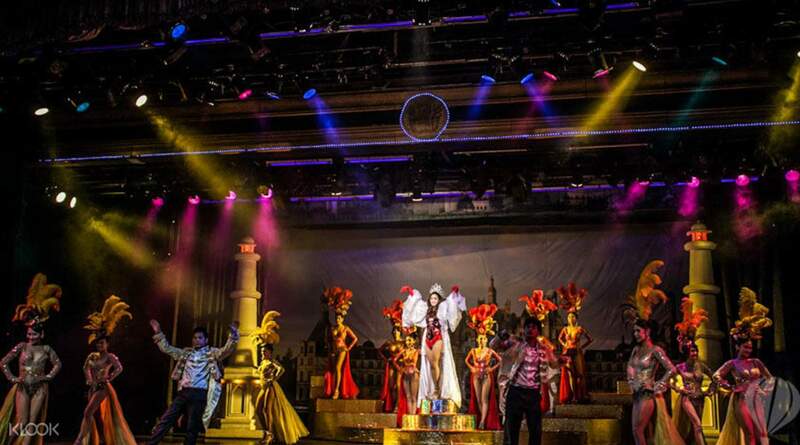 Get VIP treatment at the Golden Dome Cabaret Show with this package, where you'll get to enjoy the beautifully designed backdrops and elaborate choreography up close. 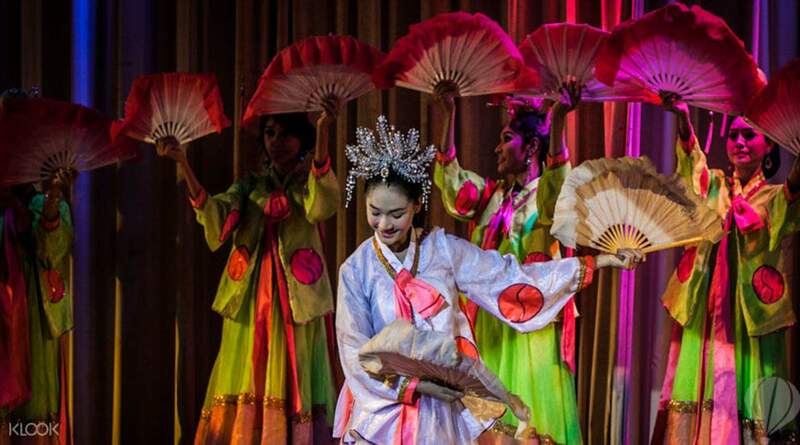 Of course, it's the stars of the show that deserve your grand anticipation: look out as talented ladyboy performers, in gowns reminiscent of Miss Universe contestants, take the stage for a memorable night of entertainment. Selfie opportunities with these stars await after the show, so don't forget to stick around! Quite an awesome experience watching this show! our seat was indeed a VIP seat as we are sitting at the second row. But most of it are conducted in Chinese (some of their conversation and song). But of you can't understand Chinese, it shouldn't be a big problem as you will understand their acting. Recommended! Quite an awesome experience watching this show! our seat was indeed a VIP seat as we are sitting at the second row. But most of it are conducted in Chinese (some of their conversation and song). But of you can't understand Chinese, it shouldn't be a big problem as you will understand their acting. Recommended! Excellence performance that you should not miss it! Good interactive with audiences, big applauses to the performers. Easy to get there, exit 3 of Sutthisan Subway Station, turn left hand side, walk straight forward, around 8 min. Walk, Turn left hand corner at the first corner, (you can see the McDonald in the opposite right hand side). and 3 minutes walk you can find the Golden Dome (white house). Enjoy! Excellence performance that you should not miss it! Good interactive with audiences, big applauses to the performers. Easy to get there, exit 3 of Sutthisan Subway Station, turn left hand side, walk straight forward, around 8 min. Walk, Turn left hand corner at the first corner, (you can see the McDonald in the opposite right hand side). and 3 minutes walk you can find the Golden Dome (white house). Enjoy! we are sitted at the very front and it was VIP. just be careful of suddenly taking selfies of the beautiful ladyboys. they will require you a tip. But I was seduced by their beautiful faces that I jud had to take a selfie with them. It was worth it. we are sitted at the very front and it was VIP. just be careful of suddenly taking selfies of the beautiful ladyboys. they will require you a tip. But I was seduced by their beautiful faces that I jud had to take a selfie with them. It was worth it. The show is wonderful and full of fun. Worth to see as this is solely in Thailand. The show is wonderful and full of fun. Worth to see as this is solely in Thailand. the best!!!! Cameras are not allowed so it was a stolen shot. But my BF was chosen to participate in *Spoiler* it was so 😂😂😂😂 good good... but there's less performers now, I guess its because we watched it during new year. the best!!!! Cameras are not allowed so it was a stolen shot. But my BF was chosen to participate in *Spoiler* it was so 😂😂😂😂 good good... but there's less performers now, I guess its because we watched it during new year. Quite a basic show, the seats are very close to the stage, which is good. You will get a chance to shake hand with the lady boys, and most of them are quite pretty. Mind the staff grab you and get multiple “lady” to take photossss for you as it cost 40B/photo/lady, which they will not let you know and will not ask for money before you took a loooot of photos. Quite a basic show, the seats are very close to the stage, which is good. You will get a chance to shake hand with the lady boys, and most of them are quite pretty. Mind the staff grab you and get multiple “lady” to take photossss for you as it cost 40B/photo/lady, which they will not let you know and will not ask for money before you took a loooot of photos. very nice experience, we really loves this activity, they never looked like ladyboy. very nice experience, we really loves this activity, they never looked like ladyboy.